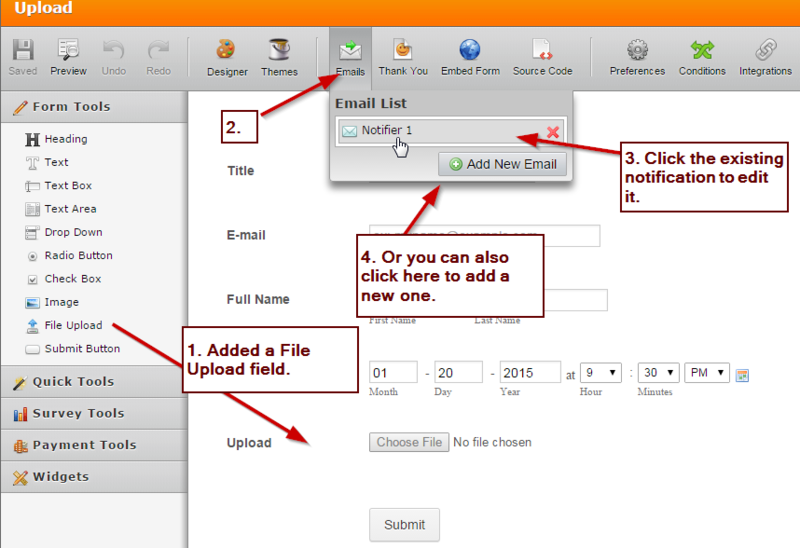 We have a form set up which includes a file upload button. 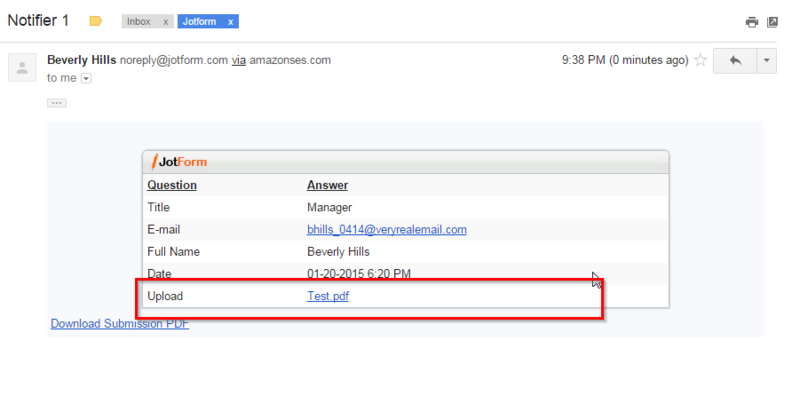 When files are uploaded, the email notification does not contain a live link to the attached file. It includes the file name, but it is not a clickable link to access the uploaded attachment. Is this as expected or should the link to the attachment be live in the notification email? Can you share us the form you are having problems with? Also a screenshot of the notification that doesn't have a link on it? It might be that the email service provider you are using does not allowed attached link to text. 1. I added an file upload field in my form. I then edited my notification under "Emails". 2. 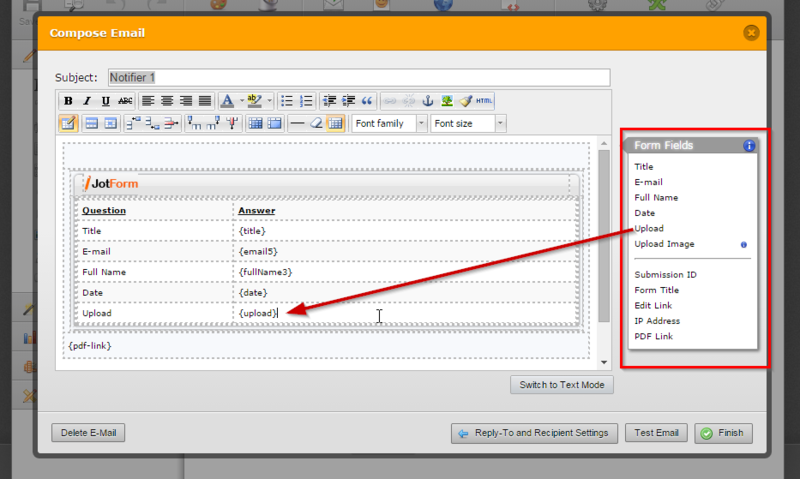 Inside the "Compose Email" window, you can add the file upload field anywhere in your email content. You can use the form fields by clicking them at the right side. 3. I then made a test submission by filling out my form and uploading a Test.pdf file. 4. I received in my Gmail the email notification including the link for my uploaded file. I hope it helps. Let us know if this works. I tested this again, this time sending the notification email via a different email service provider, and it turns out that was the problem - the attachment link appears ok when sent to a different email. That's helped to work out what was causing attachment link not to display as a live link. You're welcome, I'm glad we found the cause of the problem. You could also try contacting your email provider if that is a normal behavior of the system, there might be something like a setting to change or probably it's there way of securing any suspicious links in email contents. If you need any assistance again or have other concerns, please do feel free to open up a new thread here in the forum.